At the age of 5 he began playing his grandmother’s piano; she was a piano teacher in Sao Paulo. Seventeen years later – after intensive training at leading universities of music in Brazil and Germany Fabio Martino bought himself his first Steinway grand piano. The money for this came, amongst other things, from his first major prize of 48,000 US$ at the most important international piano competition in Latin America. 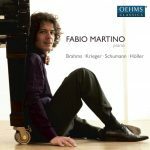 In the meantime Fabio Martino has won more than 20 first prizes in competitions and in 2017 won second prize at the ‘Deutschen Pianistenpreis‘ competition and third prize at the China Shenzhen piano competition. Martino doesn’t only draw in the audience with his virtuoso playing; he also thrills them with his South American charm. He’s viewed as a cheeky but at the same time open challenger on the international pianist scene. He wears his hand-tied bow tie like a trademark. His current album “PASSION” was recorded in co-production with SWR in Baden-Baden. 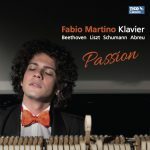 As well as well- known works by Beethoven, Liszt and Schumann, which Fabio Martino interprets in his own special emotional and inspirational manner, it also contains the world première recording of the light, full of temperament and pianistically demanding piece “Tico-Tico no fubá” arranged by Marc-André Hamelin. “This isn’t only virtuoso, it really rocks! Magnificent!” Guido Krawinkel in Klassik-Heute and awards the album the top grade: 10 points. In the USA, Australia and Brazil the album was also highlighted by the critics and highly rated. 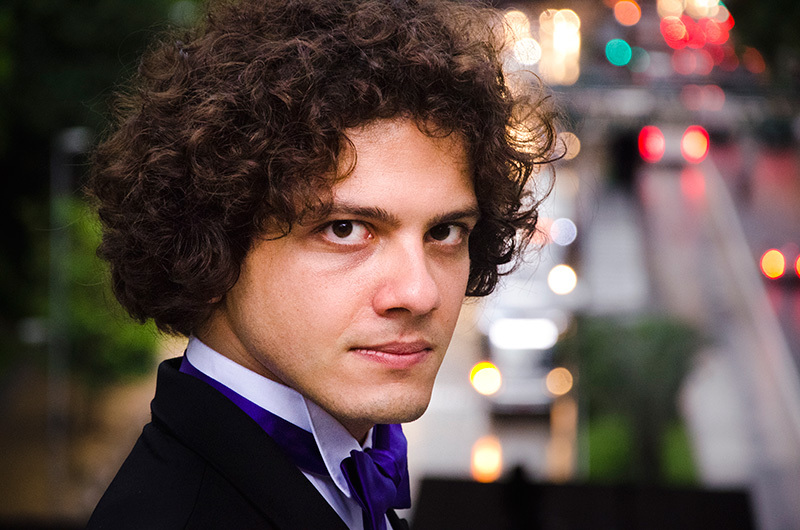 As an international soloist Fabio Martino has played piano concertos by Prokofjew, Rachmaninov, Beethoven, Mozart, Schumann, Medtner, Bartók and many others. He was accompanied by famous orchestras like the Orquestra Sinfonica Brasileira (OSB), State Orchestras of Sao Paulo (OSESP), Symphony Orchestra of the Bavarian Radio, Badischen Staatskapelle, Stuttgart Philharmonic Orchestra, den Berliner Symphonic Orchestra, the Shenzhen Symphony Orchestra and many others. His concerts and recitals take him to the major concert halls and to the most well-known festivals in the world: Berliner Philharmonic Orchestra, Seoul Arts Centre, Shenzhen Concert Hall, Sala Sao Paulo, Cidade das Artes, Opera House Rio, Liederhalle Stuttgart, Miami International Piano Festival, The Gilmore Festival, Heidelberger Frühling, North German Radio, Gasteig and Badisches Staatstheater. Audiences and critics are equally impressed, which is confirmed by the numerous invitations he gets to return. Once you’ve heard Fabio Martino, you want to hear him again. Martino also shows his ability and his special stage presence in various film and TV productions as well as live recordings amongst others for the SWR, BR, NDR, TV Globo and the BBC. 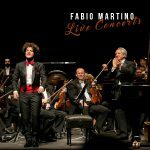 Critics already mention Fabio Martino in the same breath as Nelson Freire, Martha Argerich, Claudio Arrau, Sviatoslav Richter and even link him with Vladimir Horowitz.